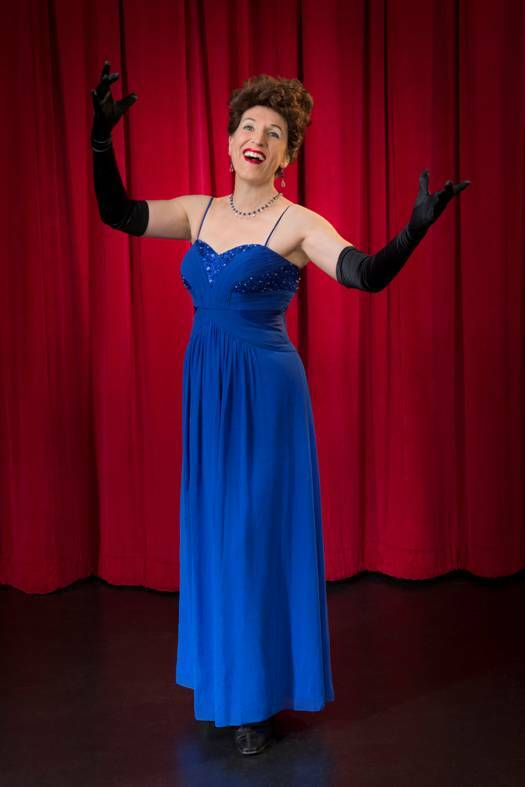 SAN FRANCISCO, CA – In San Francisco, where she will play the leading role in the United States Premiere of “CALL ME MISS BIRDS EYE, A celebration of ETHEL MERMAN” better known as “The First Lady of Musical Theatre, CULTURAL WORLD BILINGUAL interviewed Australian singer DENISE WHARMBY, (pronounced Warmbee) to discuss her star role as MERMAN. Born in Queens, New York, ETHEL AGNES ZIMMERMANN (l908-l984) better known as ETHEL MERMAN was an American actress and singer who introduced many standard in American Musicals, among them: “I Got Rhythm”, “Everything’s Coming Up Roses”, and “There is no Business Like Show Business” which became her theme song. As a child, she taught herself to sing, while going to the theatre with her parents to see the vaudeville shows at the Palace Theatre in Manhattan. There, she had the opportunity to see singers such as FANNIE BRICE, SOPHIE TUCKER and NORA BAYS. At home, she imitated their styles. As a teenager, she began performing at private parties and later on continue, singing in night clubs where she was first hired by LOU CLAYTON who was JIMMY DURANTE’s partner. Noticing that her name was too long for the theatres’ marquees, she shortened her last name from ZIMMERMAN to MERMAN. On Broadway, she sang on musicals for many years, becoming famous in the role of Annie, in BERLIN’s Annie Get Your Gun, which opened on Broadway on May l5, l946 and ran for nearly three years and 1,147 performances. Another of her greatest roles was Gypsy (l959)where she played the role of Rose. Over the next several years, she went to Hollywood where she appeared in a series of short musical films. but returned to Broadway in l970 to play the role of Dolly in Hello dolly. For the remainder of her career she continued working on Broadway’s musicals, films and Television. MERMAN became forgetful, and on April 7, l983, as she was preparing to leave for Los Angeles to appear on the 55th Academy Awards. her behavior became erratic. When taken to the hospital, she was diagnosed with Stage 4 Glioblastoma. She died at her home in Manhattan on February 15, l984 at the age of 76, and on that evening, all the 36 theatres on Broadway dimmed their light at 9:oo p.m. to honor her. CULTURAL WORLD BILINGUAL asks Ms. WHARMBY why did she want to play the role of ETHEL MERMAN. D.W. “This show was not my personal selection. I was selected to play her and sing her songs. Dr. CLARKE , my former voice teacher in Australia, was gathering a group of singers to sing in concerts and festivals in Mexico. And when we connected again last year, he told me that he had the script and that he would be interested in finding a place to perform it. Because he was my teacher before, he knew my voice, so he asked me if I would be interested in taking on the part of ETHEL MERMAN, and I said very much so, that would be an honor. After that, he came to San Francisco to look at some theatres, We had a meeting here and the show is going to make its American Premier in San Francisco. C.W.B. When did you start singing? D.W “I was singing from the earliest age, I don’t remember exactly, but I think when I was four years old. I have a talent for finding tunes at the piano in my grandmother’s house, so I got piano lessons and my piano teacher formed a children’s choir. So from the age of seven to fourteen I sang and got a wonderful experience singing for all these years in a choir. From then, on, I never stopped singing. When I was sixteen years old, I met a man, who is here now (in California) who formed ACOUSTIC VOICE, the company that is presenting “CALL ME MISS BIRD’S EYE” the show here. The company is run by Dr. GRANT CLARKE. When he became my voice trainer, he was able to teach me some amazing transformative things with my tool box (my voice). I had musicianship, through my piano lessons, and I have been singing with the choir group, but somehow I did not have my solo voice trained yet. This man, took me to a much higher level immediately. He trained me in classical voice, I learned “coloratura Opera Singing” with him, and I also learned “Musical Theatre because when you use your voice correctly, you can learn how to apply your voice to the different musical styles. He teaches BEL CANTO, which is the traditional way of using the voice, because it produces a sound that is beautiful and flows with ease for the performer. A Sound that has no tension, no stress, a sound that travels beautifully through the great acoustics of the Geary Theatre, where we are doing the show.”. C.W.B. 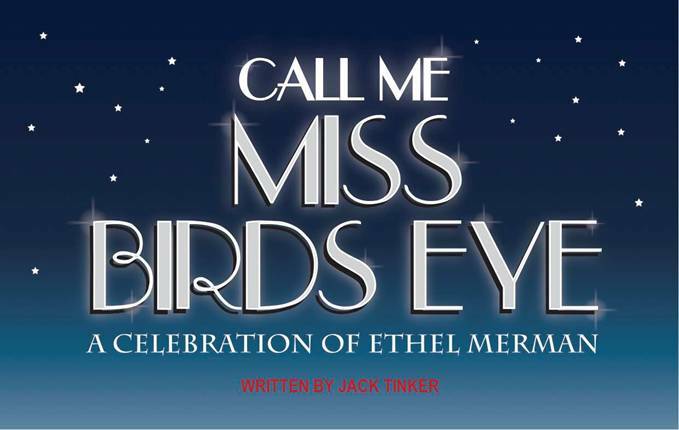 The show is named “CALL ME, MISS BIRDS EYE,” does the name mean anything? C.W.B. Tell us something about the show. D.W. “The script of “CALL ME MISS BIRDS EYE” and the compilation of songs written by composers IRVING BERLIN, GEORGE GERSHWING, COLE PORTER and a couple of others, was put together in a format for the Donmar Warehouse, by a London Theatre Reviewer by the name of JACK TINKER. He created the show in l985 (one year after MERMAN died) and it was performed on the stage. After that, the script was lost. While doing musical research, Dr. CLARKE stumbled upon this information, and because he knew the value of MERMAN’s singing voice, he was interested to look at the script. Doing more research in England, he found the only copy, and that is how the show was found. This show had not be shown anywhere since since its l985 London performance. D.W. Could you tell us something about its music? Since the show is the compilation of songs of the three most wonderful composers. The people will hear about thirty of their songs during the performance, among them: “There is no Business Like Show Business”, “Everything is Coming up Roses”, from Gypsy, “Anything you Can do” from “Annie Get Your Gun.” All these wonderful songs, are interposed with narration, and little things that come to life and tell stories in which the people find out everything about ETHEL and her early life. The show is a review so there are two male performers on the stage who will be singing and acting and we have Dr. CLARKE himself, Directing and playing the piano. 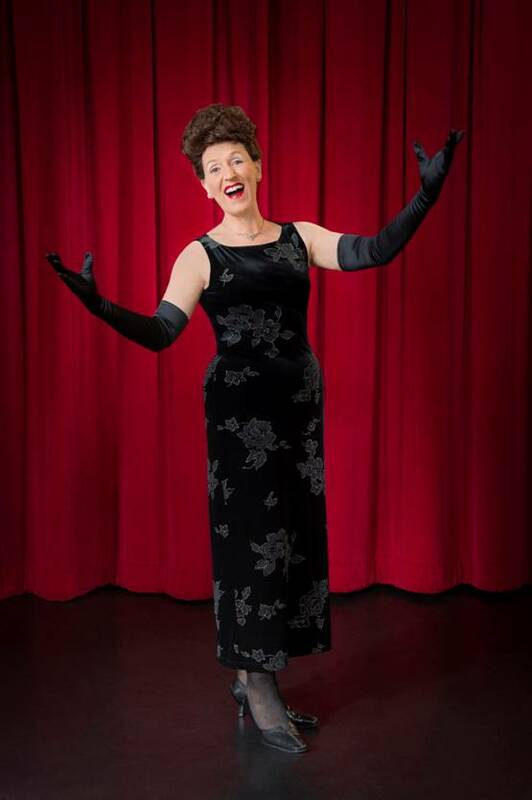 The show is a journey, a celebration of ETHEL MERMAN’s life. C.W.B. We understand you have only three minutes before rehearsal, is there something you want to tell the people in San Francisco?